Penn High School Senior Logan Hill stopped by the Osceola Post Office on the morning of Tuesday, Oct. 23, to drop off a parcel. While the other customer stepped out, Hill stepped up. “I can help – I know CPR,” Hill called back as he hurried behind the counter. 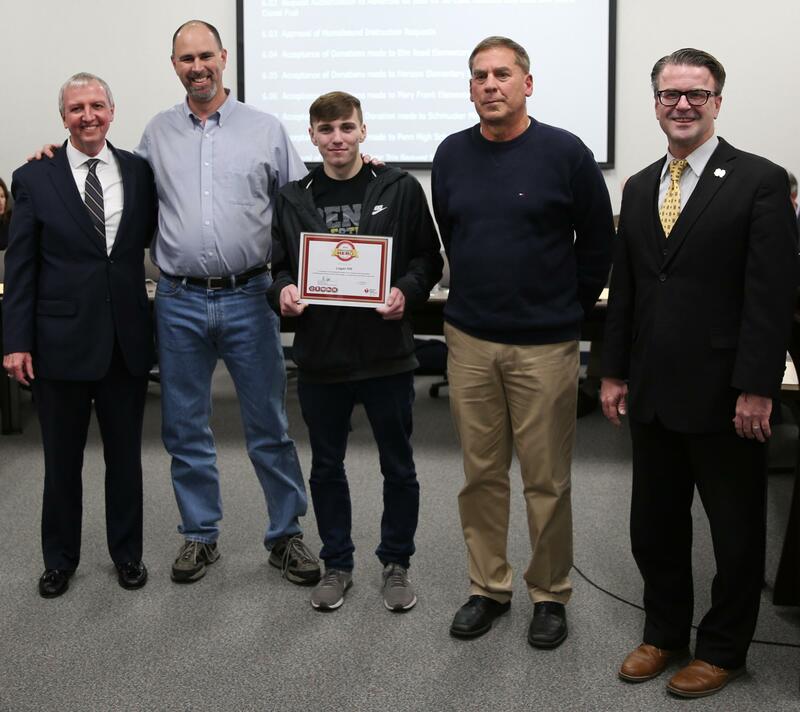 Hill, using the knowledge and CPR skills that he learned in Penn’s Health class, applied chest compressions for about seven minutes on the Paul Anderson, who was suffering from cardiac arrest. While Hill applied chest compressions, a Postal employee applied mouth-to-mouth. When police and medical personnel arrived, Hill let them take over. Medical personnel said that without Hill’s assistance, Anderson likely would not have survived. Hill and Penn Health Instructor Rod Pawlik were honored by the American Heart Association, Penn-Harris-Madison Supt. Dr. Jerry Thacker and the Board of School Trustees on Monday, Nov. 12. 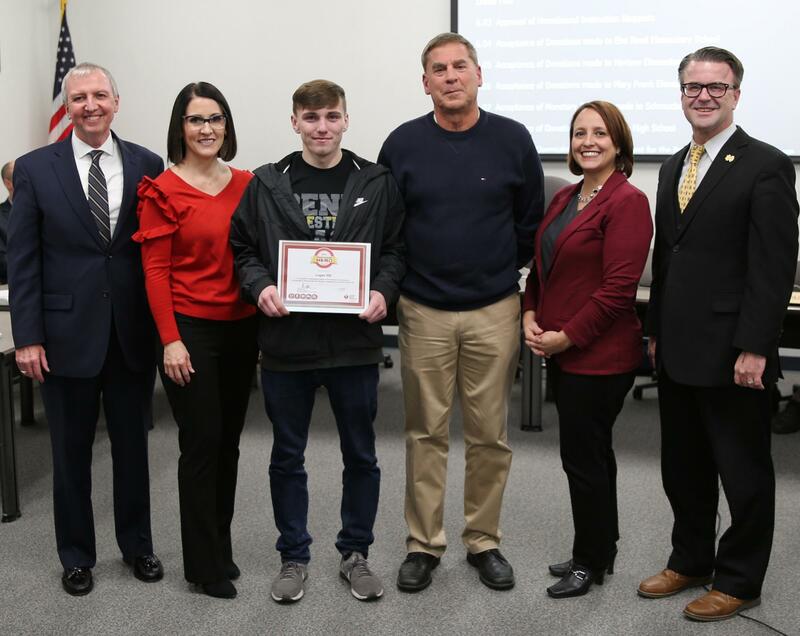 Hill and Pawlik received the Heartsaver Hero Award from Stephanie Rosenberg, Youth Market Director of the AHA, and Sunni Rossi, AHA Regional Vice President in Youth Markets, at Monday’s School Board Meeting. Click to see the photo gallery below. 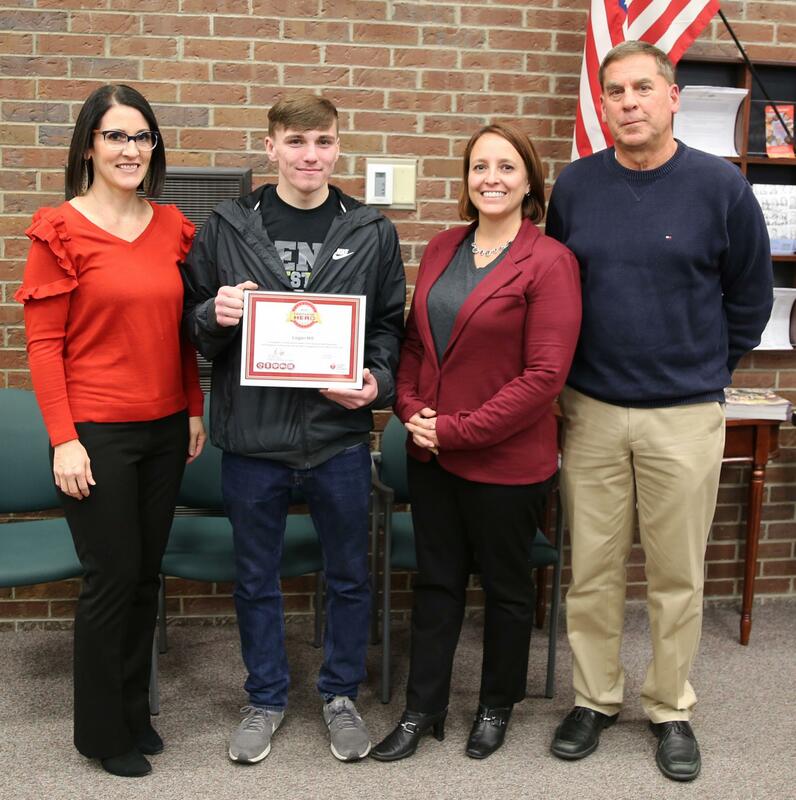 A State Finalist last season as a wrestler for Penn and also a pole vaulter on the Kingsmen Track and Field team, Hill credited Penn Health instructor Rod Pawlik with teaching him CPR. “I learned CPR my sophomore year,” Hill said. “I learned it from Mr. Pawlik in Health Class. He’s a really good teacher. He taught me the courage to actually do this. “As a sophomore, I have to admit, I was thinking, ‘Man, I’ll never use this,’ when we started to learn CPR,” Hill said. “Mr. Pawlik got me to realize how important this was to learn. He stressed it a lot. Hill, who intends to pursue a career in law enforcement, said that Pawlik always stressed the importance of stepping up in the heat of action. Pawlik has been teaching at Penn since 1997. Penn’s Health classes have included CPR long before the State required it as a graduation requirement. 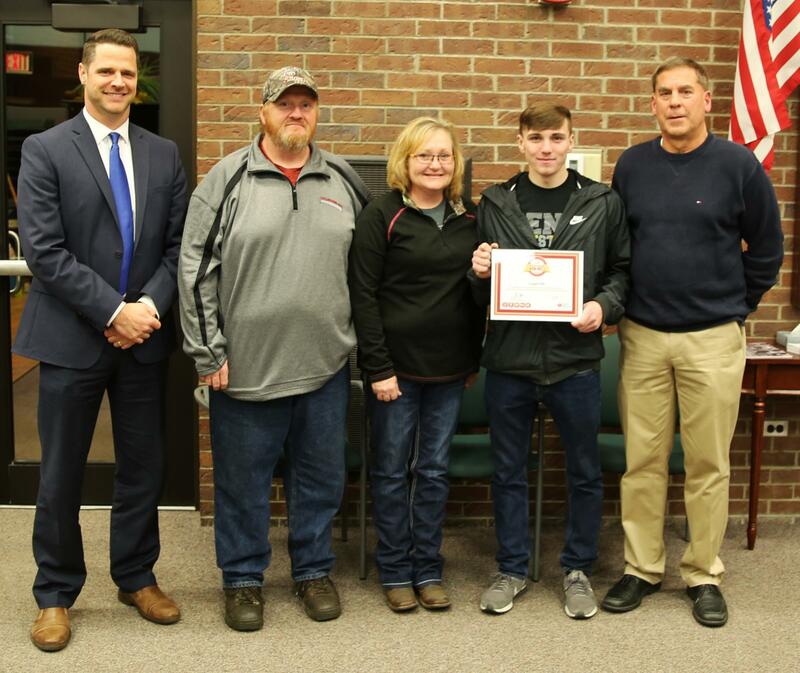 The American Heart Association championed a law requiring CPR training as a high school graduation requirement in Indiana in 2014, ensuring that every year thousands of graduating students are trained in this life-saving skill. Across the country, more than 350,000 people experience sudden cardiac arrest every year. Only 46 percent of those people receive immediate CPR from bystanders, and 90 percent of those individuals die. Immediate bystander CPR can triple a cardiac arrest victim’s chance of survival. “At the beginning of class every semester, I try to explain how important this class can be to the students and I mention, even life-saving,” Pawlik said. “This is a great teaching moment that I can use for the rest of my teaching years.